Maui Now : Made in Hawaiʻi. Made With Aloha. Made in Hawaiʻi. Made With Aloha. The breathtaking landscapes and luscious produce of the islands serve as a unique canvas of opportunity and ideas for many of Hawaiʻi’s local artisans. Whether it be the history of the kalo (taro) plant that inspires the design of an aloha shirt, or the allure of a wave’s arch that captivates the eye of a local ocean photographer, from photographs to fabric designs, the images and experiences of Hawaiʻi are displayed through the works of many of Hawaiʻi’s local artisans. Made in Hawaiʻi and made with aloha, Hawaiʻi truly offers products from the heart, capturing a priceless value that expresses the essence of the aloha spirit and the beauty of its maker. Whether returning home from the islands and searching for the perfect gift for friends or families, or simply looking to gift something special to a loved one, listed below are some artisans that articulate the beauty of Hawaiʻi. 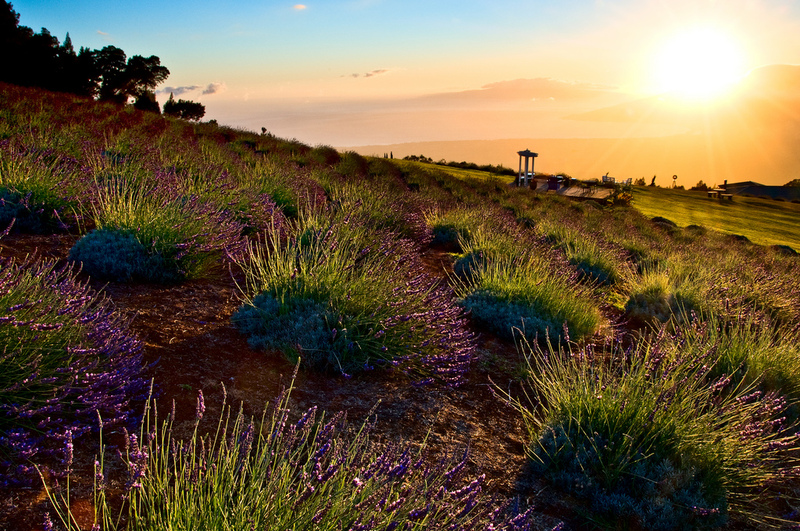 Agriculture – Nestled along the skirt of Haleakala in upcountry Maui is the iconic Aliʻi Kula Lavender Farm (AKL). 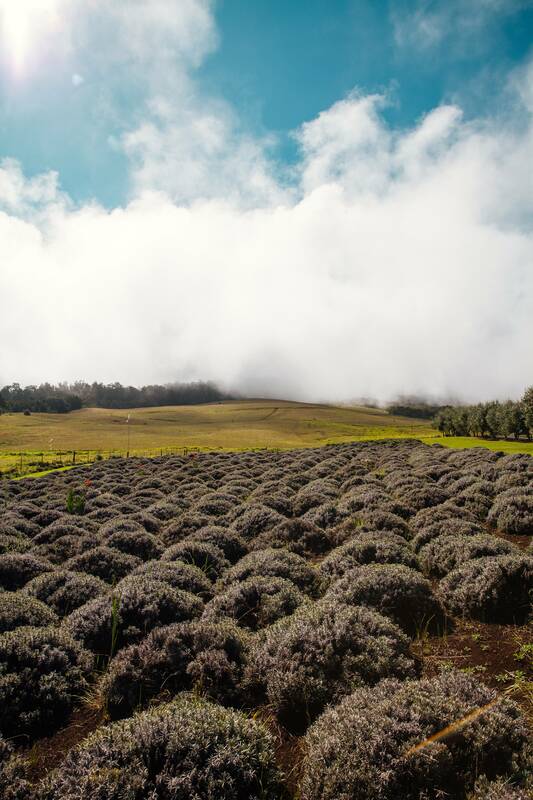 With over 13.5 acres of farm, AKL resides at an elevation of roughly 4,000 feet and is home to approximately 55,000 lavender plants and 45 different varieties of lavender. 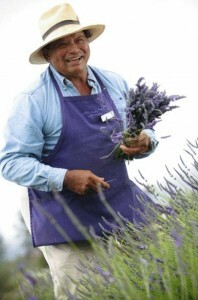 In addition to sourcing lavender to a variety of restaurants, AKL simultaneously produces a line of top-quality products. Each product is carefully made using natural, botanical and organic ingredients and can be found in stores throughout the islands. With breathtaking views and serene walking paths, AKL serves as the perfect place to relax and unwind. Offering daily walking guided tours, AKL offers guests a chance to wander the farm and see first hand the quality work that goes into growing each plant. Fashion – Sophie Grace Maui highlights the essence and beauty of Hawaiʻi’s landscapes in her island-inspired jewelry line. Designed with the beach-loving girl in mind, designer and owner Jamie Shepherd features pieces showcasing the island’s natural elements including semiprecious stones and shells, gold dipped shark’s teeth, and black Tahitian pearls. Though operating out of a brick and mortar boutique in the humble town of Pāʻia, Shepherd’s pieces may be found in stores throughout the islands and most recently collaborated with Tommy Bahama to launch a selection of pieces to be offered nationwide. 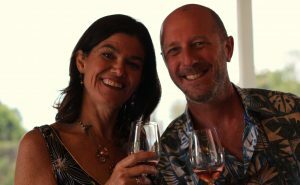 Art – Coined as the purveyors of “liquid gold,” founders and owners Kether Keyser and Tiare Rietow created Queen Bee Productions Maui to offer a low impact, eco-friendly and eco-conscious line of skincare products good for the skin, body and environment. Made and grown from the heart, Keyser is a licensed esthetician and beekeeper, while Rietow is a certified herbalist. Reflective of Keyser and Rietow’s passion and experience, each product is hand made with Raw Maui Honey and Maui Beeswax, using only natural ingredients. From flavorful lip balms to soothing cocoa body butter, the girls at Queen Bee Productions Maui got it covered. Agriculture – Located on the island of Hawaii, Big Island Bees is one of the world’s leading honey farms, offering guests a unique opportunity to discover the history of beekeeping first hand, and grasp a glimpse into the mysterious world of bees. Operating with the mission of providing the finest varietal, single-floral raw honeys, Big Island Bees produces their honey organically, without heating, filtering or blending. 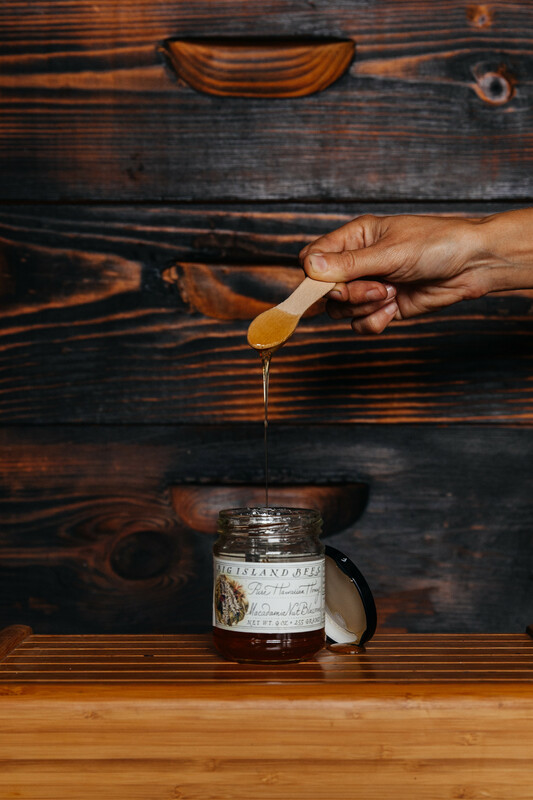 Recognized for its unparalleled quality, Big Island Bees provides honey to many of Hawaiʻi’s top restaurants and guests even have the opportunity to purchase their own honey for some homemade excellence. 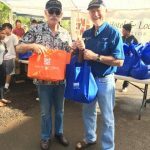 Fashion – One of Hawaiʻi’s most iconic designers of aloha wear, Sig Zane Designs provides aloha attire that shares and celebrates the knowledge and values of the Hawaiian culture through art. Sig Zane’s aloha wear honors the plants of the islands and showcases a variety of designs wedded to Hawaiʻi’s sense of place, nature and culture. The beauty in each design is its ability to honor the land and native culture, celebrate excellence and beauty, and ultimately share the knowledge and story reflected in the garment’s design. Art – Inspired and energized by the melody of life and the beauty and nature of the islands, local kapa artist Roen Hufford perpetuates the practice of kapa stamping and design. Using the resources of the land, Roen creates intricate prints using dyes made from various native plants and fruits, as well as stamps crafted from the wooden sticks. Agriculture – Flourishing in the heart of Kauaʻi’s northern shore is Kauaʻi Farmacy, a four-acre herbal garden, tended to by owners Doug and Genna Wolkon. Home to more than 60 medicinal herbal plants, Kauaʻi Farmacy offers tea for health and pleasure. As all harvesting is done by hand, Kauaʻi Farmacy offers a premium quality of tea, selecting only the strongest, most vibrant plants to craft into herbal blends and supplements. In addition to sourcing product to many of Hawaii’s restaurants, Kauaʻi Farmacy also offers guided tours of the farm, allowing visitors and residents an opportunity to experience the oasis first hand, and learn more about history and culture of tea farming in Hawaiʻi. Fashion – KaiKini Bikinis on the island of Kauaʻi operates on the principle of earth first manufacturing. Prioritizing the importance of creating and promoting sustainable fashion, each KaiKini Bikini is hand cut and made on the island of Kauaʻi. Using a fast drying anti-microbial liner, each ‘Kini is designed with the essence of Kauaʻi’s rejuvenating spirit, styled for any type of adventure, whether it be surfing, sunning, diving, yoga or embarking on awe inspiring hike. KaiKini Bikini’s is every wanderlust dreamers dream. Art – Inviting you into a world of wonder, local watercolor artist Patrice Pendarvis tells the stories of Hawaii in her collection of watercolor paintings. An artist for over 40 years, Pendarvis depicts Hawaiʻi’s beauty, charm and diversity in her pictorial compositions. 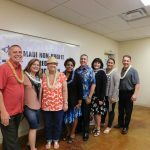 Agriculture – Celebrating Hawaiʻi’s sugar cane, Manuele Distillers, home of Ko Hana Agricole Rum, tells the story and flavor profile of Hawaiʻi. Ko Hana Agricole Rum is meticulously crafted from farm to bottle. Growing single varietals that are hand-harvested, pressed to juice and then distilled to perfection – resulting in one of the world’s finest pure cane rums. 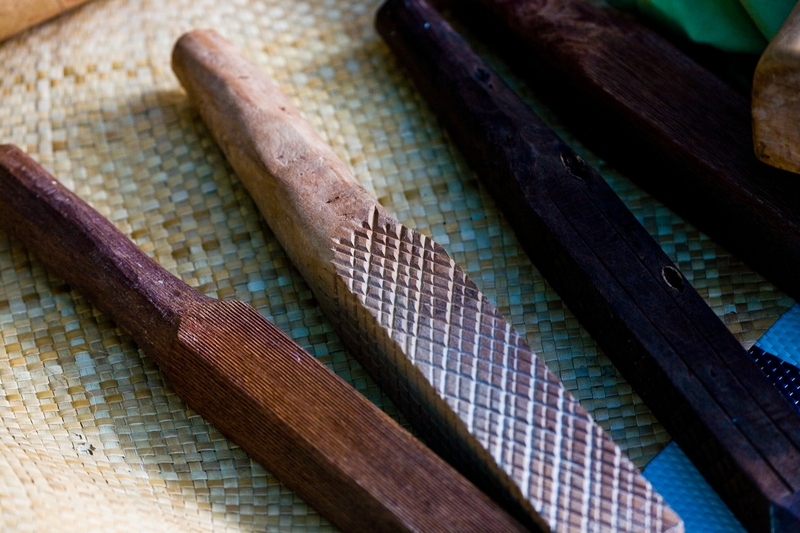 Ko Hana embraces the natural earthiness and sweetness of the cane sugar, heeding specific attention to the unique characteristics of each specific cane varietal. As a boutique distillery, only the best of rums are bottled without compromise. Fashion – Blending modern fashion with the culture and stories of Hawaiʻi, stylist Matt Bruening, along with designers Kuhao Zane and Brandi Serikakau created Salt Liko. As demonstrated in its prints and designs, Salt Liko garments are reflective of the idea that “we are born from our surrounding elements.” Salt, symbolizing the idea that the islands are a playground and Liko, the young bud of the ʻOhia blossom, which serves as an inspiration of the rooted hardwood that can transform and adapt to any landscape articulates the company’s belief in providing designs that inspire. Salt Liko offers fashion forward pieces well suited for the laid back lifestyle of Hawaiʻi. Art – One of the most-widely recognized surf photographers in the world, Zak Noyle captivates the beauty of Hawaiʻi’s ocean and sea life with his skill and an uncanny knack for being in the right place at the right time. With a portfolio of vibrant, awe-inspiring surf and wave photographs, in addition to large scale photographs and wall decor, Noyle has also transposed his work onto various accessories and apparel that enable you to bring a piece of Hawaiʻi everywhere you go. Alii Kula Lavender Farm. PC: Tiffany Mitchell/Hawaiʻi Tourism Authority. Big Island Bees. PC: Tiffany Mitchell/Hawaiʻi Tourism Authority.